Integrating PrestaShop with VWO allows you to create and run VWO campaigns with your PrestaShop website. Download the VWO-Prestashop plug-in here. Sign in to your PrestaShop dashboard using your admin account credentials. 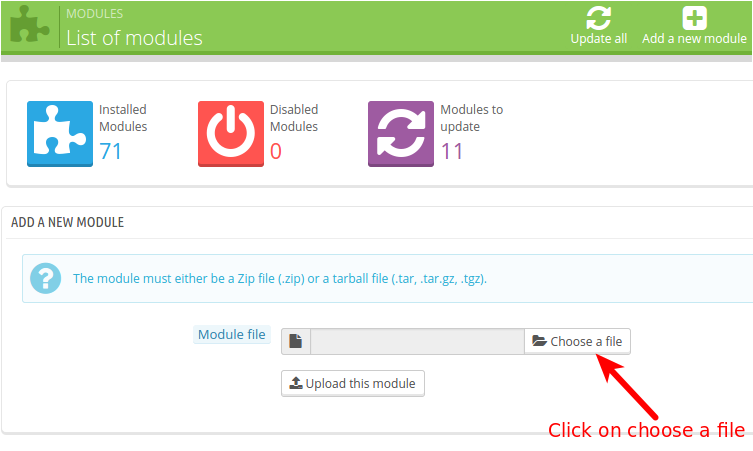 On the List of Modules screen, select Choose a file and then select the visualwebsiteoptimizer.zip file. Click Install to install the VWO plug-in. On the next screen, click Proceed with the Installation to set up the VWO integration module. On the Configure screen, enter the configuration details. VWO Account ID: Enter your VWO account ID. 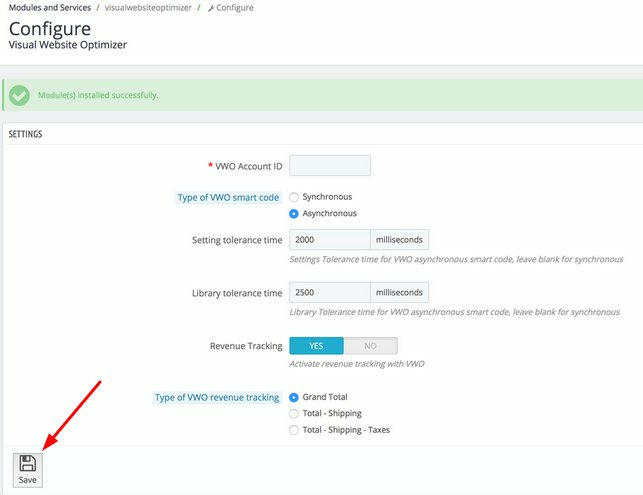 Type of VWO smart code: Select the code type you are using. To learn more about VWO code types, click here. Setting tolerance time: Retain the default value. Library tolerance time: Retain the default value. Revenue tracking: To activate, select Yes, or to deactivate, select No. By default, Type of VWO revenue tracking is set to Grand Total. Congratulations! You have successfully integrated VWO with your PrestaShop website. You can now go ahead and create campaigns on your website.